I think this video needs to be shared. 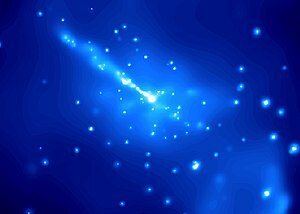 Showing galaxies or other interesting celestial objects in multiple wavelengths is a superb job. I wonder there’s more in reserve for us by ESA. But a deep sky object like NGC 5128 could also be seen by amateur astronomers and with the right tools and some stacking you can have a marvellous image. What made me amazed is you could have this beautiful image with an 8″ dobsonian. ( This image is by an 8″ newtonian, but for me it’s the same) A perfect debutante telescope. 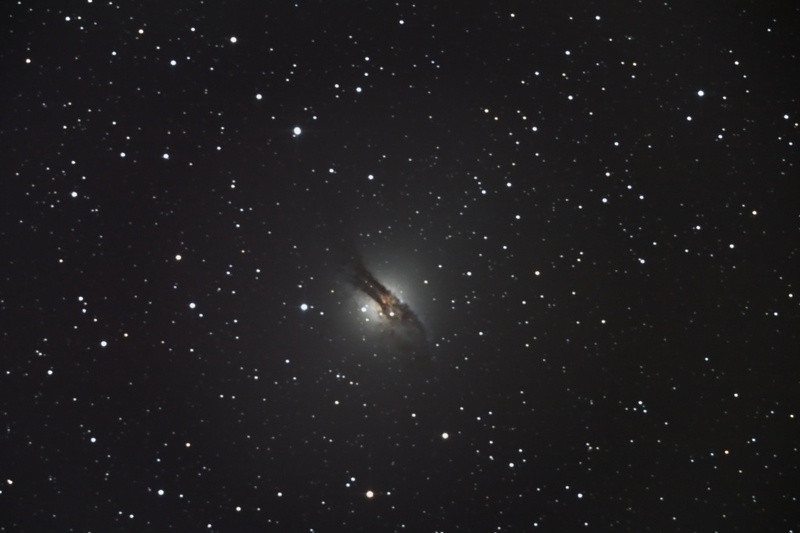 First attempt at Centaurus A. This is a cropped version. Focus slightly off and stars a little elongated. 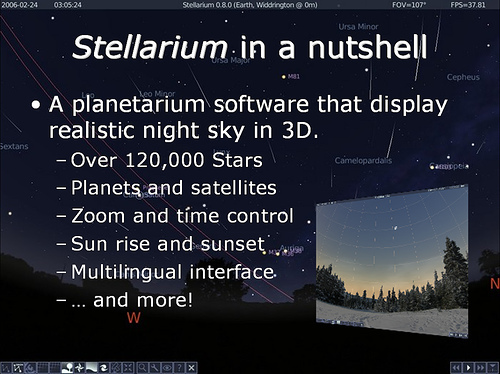 Stellarium is a Planetarium on your desktop . That is what it is. You see the sky ? Have your laptop with you? If you said yes to the above ? And Behold!! The sky wherever you are is on your screen. Now just look up and down, up and down, up and down. You will be able to surf around the sky in a few minutes. Stellarium, it helps you to learn the sky a lot. Learning the constellations: Names of the 88 constellations. Astro Art of the constellations. Know about the major and minor stars in the constellations: You know their minutest details, like how far is the star, e.g: Rigel: 772.88 years light years, the RA/DE, the parallax, the star magnitude and a lot of other details. One great feature is Rewind, Fast-forward, Pause and Play……. Time. You can obviously predict which star will be where and when. Or just see how the moon orbits around the earth. Wherever you are in the world you can observe the sky with Stellarium. You can obviously observe How constellations form in Paris, Germany, or even in Australia or Mauritius. Have fun while learning at the same time. Actually it is a fun way to learn the Universe in a more visual way. 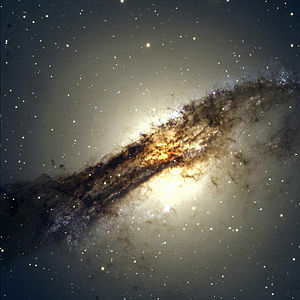 I recommend it to every newbie interested in knowing about our amazing universe. One more thing, if you just want the universe for yourselves than so be it, but if you want to share, than it is good to know that Stellarium is good for presentations too. If you want the professional touch then you have Stellarium Console. Or, you can even have Stellarium on your Mobiles. The universe on your palms. You can have a rough introductory guide here and more about functionalities here. For more informational and detailed features on Stellarium I would rather recommend the reviews here and here. There are many other cool features, you just have to try it. And if you’re kind enough, then let me know too…… through your comments below. So what are you waiting for? Download Stellarium free now.